Part of Term 2’s pupil-free day was learning to play Speedminton. 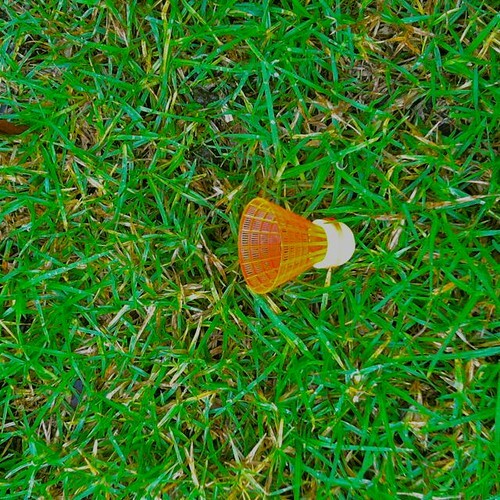 I could barely see the orange colour of the so-called “Fun Speeder” (shuttlecock), and it was even worse when it was on the grass! This entry was posted in humour and tagged colourblindness. Bookmark the permalink. Just letting you know that even though I’m a high school T-L, I enjoy reading your blog for the teaching ideas, comments on general things happening, use of images etc all in a light-hearted way (some blogs are too deadly serious).